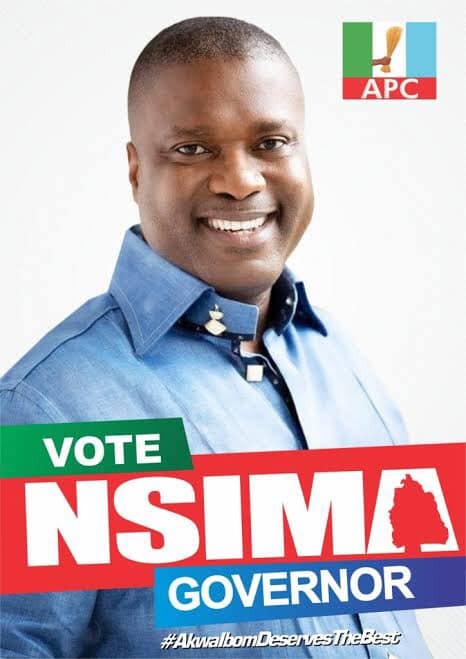 Home Politics SHOCKING STORY FROM AKWA-IBOM STATE, AS APC’s GUBER CANDIDATE, NSIMA EKERE SIGNS MoU WITH ‘’Miyetti Allah’’ ON CATTLE RANCHING IN THE STATE! 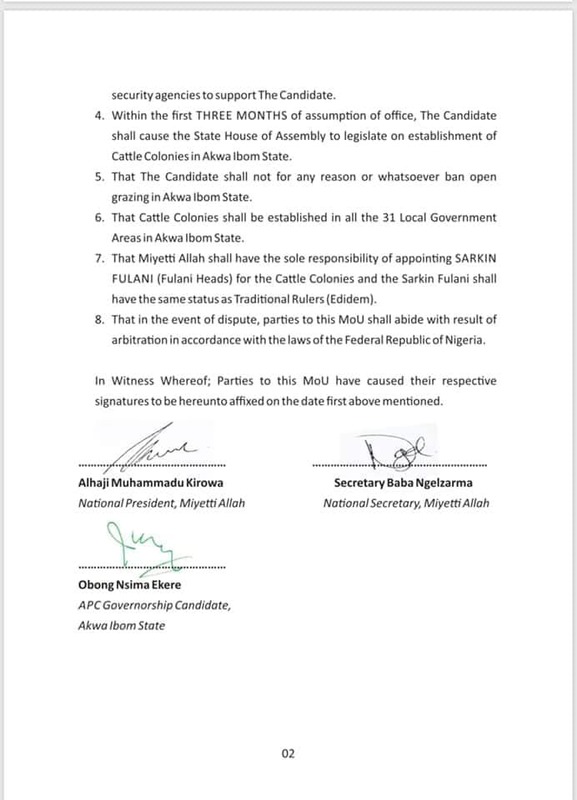 SHOCKING STORY FROM AKWA-IBOM STATE, AS APC’s GUBER CANDIDATE, NSIMA EKERE SIGNS MoU WITH ‘’Miyetti Allah’’ ON CATTLE RANCHING IN THE STATE! 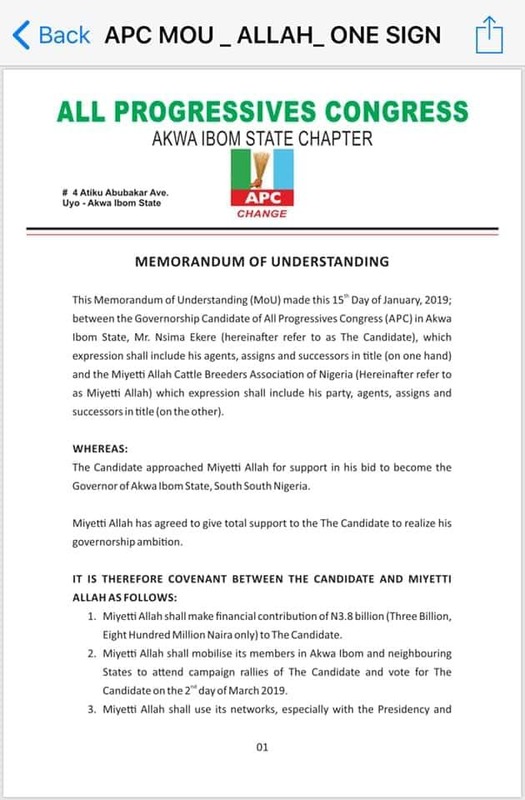 The documents attacked here shows a Memorandum of Understanding (MoU) between the APC in Akwa-Ibom State on one hand, the Governorship Candidate of the APC, Mr. Nsima Ekere on the other hand and Miyetti Allah on another hand. 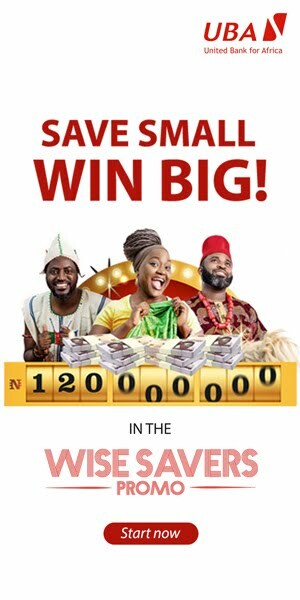 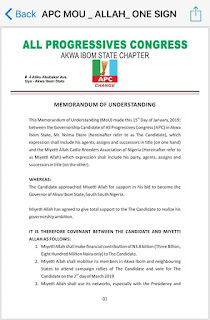 In this document is detailed information on how the Miyetti Allah will contribute to the election of the APC candidate, their financial contributions to the election and what they will gain exactly THREE MONTHS after swearing in, if he wins the election. This is really an eye-opener as I have never seen this before, shocker you might call it, but really nice to have been out in the open now. 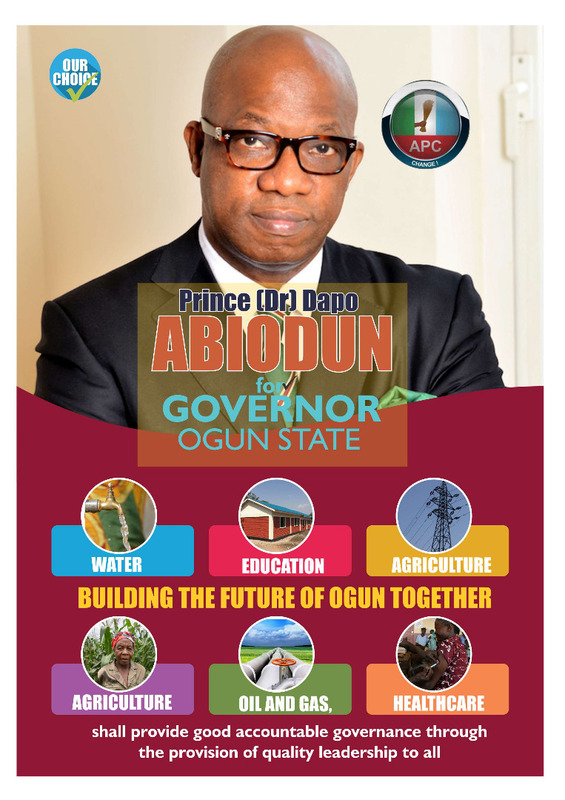 Now, Akwa-Ibomites have a huge choice to make on Saturday concerning their future and that of the state for the next four years. 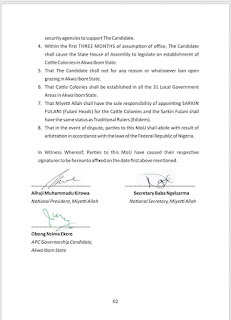 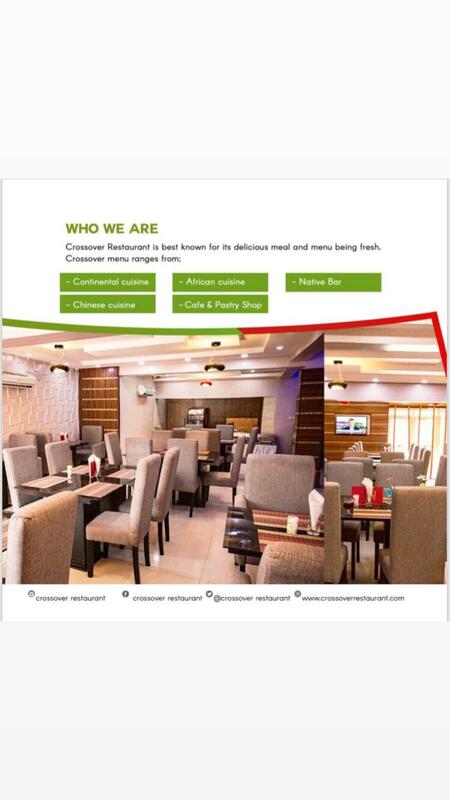 KINDLY READ THROUGH THE SIGNED AGREEMENTS one after the other.